All cats and kittens love staying in our luxurious Cat Cave, with its multi-level suites, soft lighting, soothing wilderness music, gentle flowing waterfall and koi pond. Our unique cat cave features 20 enclosures, which have been specifically designed to cater to the particular needs of our feline friends – from the quiet to the energetic. Our Cat Cave is clean, well-ventilated and climate controlled. Each enclosure measures 1.5m x 2m x 2.1m high and features 1.3 metre, three-tiered scratching post – perfect for climbing, playing and of course, sleeping. 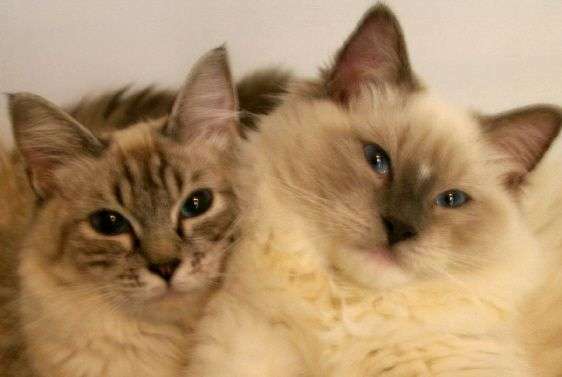 At Canning Vale Boarding Kennels & Cattery, we monitor every cat that stays with us to ensure they eat well and remain in good health during their stay. Each guest has a daily care sheet, which is checked twice daily. We have a vet on call 24-hours a day. In addition, our fully trained carers are happy to prepare meals for cats on special diets; we can administer medications if required, and provide care for younger and older pets and those with special needs. Getting your cat to and from Canning Vale Boarding Kennels & Cattery is easy. We offer a convenient pick-up and delivery service from/to your home or the airport. Our pet transport is available 7 days a week. Ask one of our friendly carers for pick-up and delivery rates. Everything Under the One Woof! Our state-of-the-art dog facilities in Canning Vale feature 68 accommodation units in a range of sizes to suit all types of pooches, from tiny tots to big guys, and multi-dog families. Our standard accommodation is well ventilated and comfortable, while our air-conditioned/heated accommodation provides superb protection from the elements, be it winter or summer. In addition, our doggie guests enjoy beautiful views overlooking our landscaped gardens; they dine on quality meals, receive plenty of exercise and daily attention from our carers, and long-term guests receive a complimentary hydro-bath on leaving our care. At Canning Vale Boarding Kennels, we understand that large and small dogs don’t always get along. That’s why smaller dogs are housed separately in our “Tiny Tots” Room with a View, whilst larger dogs are housed in our “Big Guys” accommodation. We do not accept aggressive dogs for boarding, and we never allow dogs from different families to be in the same unit or exercise together, thus avoiding confrontation issues. Deluxe Accommodation We have a very special Teddy Bears Deluxe Domain block which features alfresco weather-proof blinds, air-conditioning and heating, non-slip flooring and plush bedding. This block is great for the young, the old and those who just need a little extra pampering! There are 8 kennels and they are divided into two sections; a sleeping area of 1.2m x 1.8m and a play area of 1.2m x 3m. Due to the limited number of Deluxe Suites please book in early to avoid disappointment. Standard Accommodation Our standard kennels are concrete for hygiene reasons and overlook our beautiful gardens. Like the deluxe they are divided into two sections; a sleeping area of 1.2m x 1.8m and a play area of 1.2m x 3m. There are a variety of exercise areas to suit the various breeds and needs of our canine companions. Each block is named according to its outlook. Our “Little Guys Block” is especially designed for the little pooches. It is a ‘no big dog zone’, so if your pooch doesn’t feel comfortable with large breeds, this is the perfect place for their stay. Each kennel measures 5.5m x 1.1m and this block overlooks our beautiful grassed lawns. There are 12 kennels for our little guys so please book in early to avoid disappointment. This block of kennels is specifically designed for multi-dog families or for families with very large breeds. With a sleeping area of 3m x 1.7m and a play area of 2.6m x 2.1 m there is plenty of room to move (priority will be given to multi dog families and extra large breeds). There are 7 kennels for our big guys so please book in early to avoid disappointment. At Canning Vale Boarding Kennels, we monitor every dog that stays with us to ensure they eat well and remain in good health during their stay. Each guest has a daily care sheet, which is checked twice daily. We have a vet on call 24-hours a day. In addition, our fully trained carers are happy to prepare meals for dogs on special diets, we can administer medications if required, and provide care for younger and older pets and those with special needs. All dogs must be up-to-date with their vaccinations. Vaccination certificates to be sighted on admission or prior to boarding. All dogs must be flea treated and wormed before coming in to board. All dogs must come with a secure lead. Getting your dog to and from Canning Vale Boarding Kennels is easy. We offer a convenient pick-up and delivery service from/to your home or the airport. What happens if my dog is unwell while at the kennels?